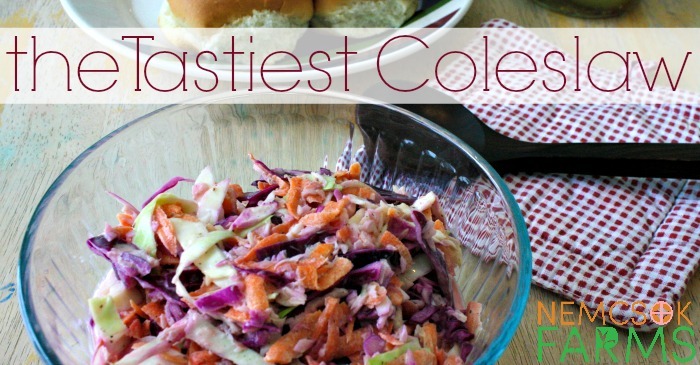 A coleslaw by any other name…Wait. You probably think I’m making to much out of this. It’s coleslaw. Once you’ve had one, you’ve had them all, right? Or more like, once you’ve had one that was terrible you’ve never ever tried it again. Ever. Am I right? There are two basic ways to make coleslaw, and everything else is a variation of either of those ways. First you have the ‘pickle-y coleslaw’. This refers to the cabbage and other veggies, mixed in a salt / vinegar dressing. Next is the ‘creamy coleslaw’ which is the same as the pickle-y version, only with mayonnaise added to the dressing. 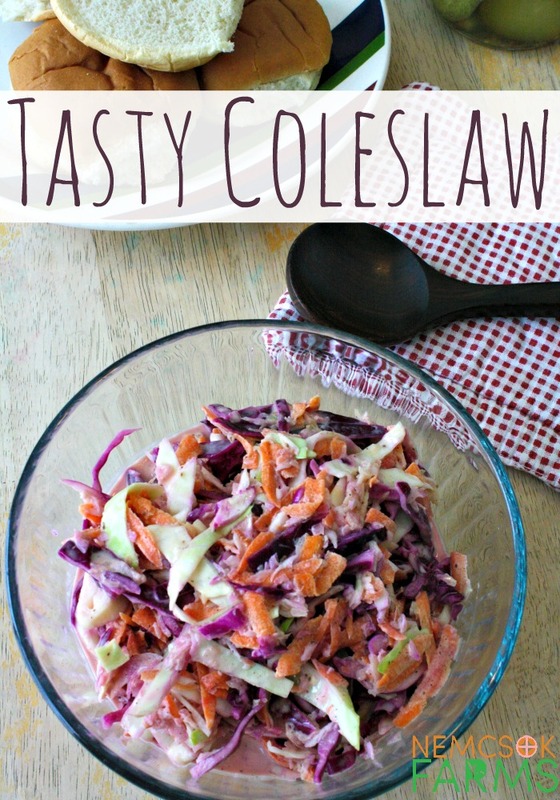 I would be lying through my teeth if I said this was the best coleslaw recipe in the world. First, I’m sure I haven’t tasted them all ( nor do I really want to) and second, my Mom’s is hands down, without a doubt, no contest the best coleslaw in the world, no question. But, this is my website, not hers, and she’s not ready to spill the beans to the world just yet. So until then, I’d like you to give mine a try. 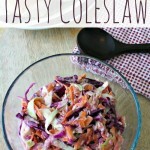 A creamy coleslaw recipe with the perfect amount of tangy. Perfect as a side dish or a condiment, this slaw will be pleasing picnickers and potluck goers for years to come. Mix shredded veggies together in large mixing bowl. Mix remaining ingredients together in a small mixing bowl, and mix very well. Stir the dressing into the cabbage mixture, and continue to mix until well distributed. You’ll love our other Garden Fresh Recipes like our Rhubarb & Strawberry Pie, Rhubarb Mini Muffins and our Chocolate Chip Zucchini Cake. Green Bean Salad, Salsas and Relish are going to be right up your alley as well – so I’m thinking, you may as well just stick around for a while.